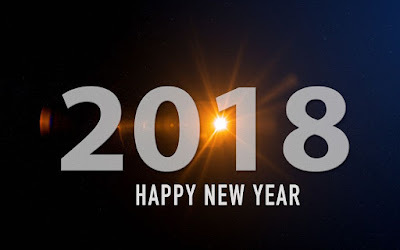 All of us at BCE wish our customers, vendors, and friends a very happy and prosperous 2018! 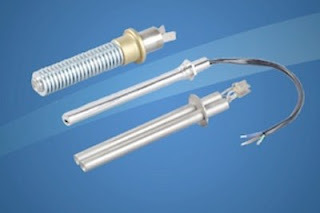 BCE has designed a high temperature electric heating elements with thermowell, type K thermocouples, and the vacuum feedthrough all in one package. Referred to as the "High-Temp Vacuum Thermowell Assembly", it provides researchers and vacuum equipment OEMs a robust, laser-welded design integrating heating element, vacuum feedthrough, and multiple type K thermocouples. 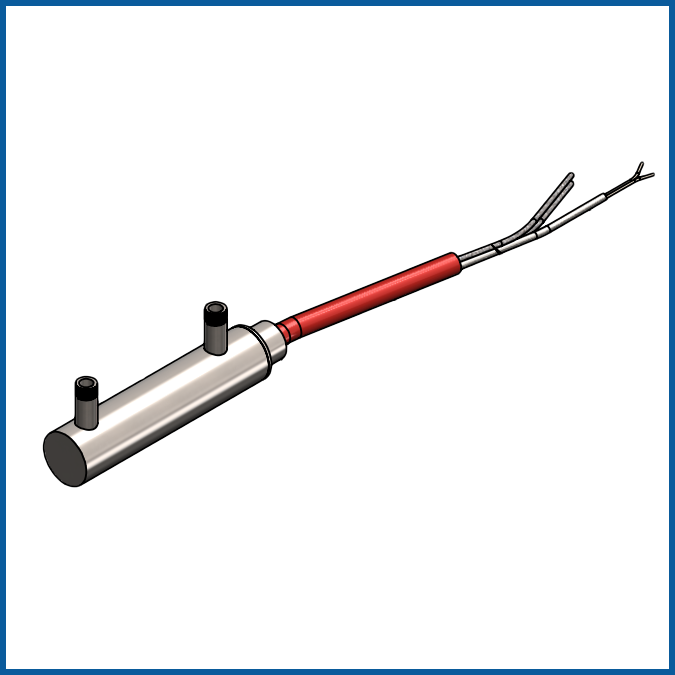 The thermocouples can be easily mounted to any part in a vacuum chamber by the means of shims with mounting holes. Furthermore, they can be positioned with ease due to integrated compression fittings, which also allow for easy replacement of the thermocouples should the need arise. 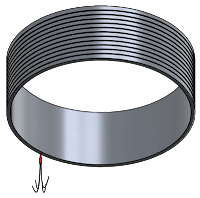 A 304 Stainless Steel flange achieves a vacuum tight seal into any vacuum or degassing chamber port and there is virtually no outgassing, enhancing performance in high-vacuum environments. Finally, a cartridge heater embedded inside an Aluminum 6061 thermowell allows for uniform and efficient heating of the chamber. Scientists, researchers and engineers can all benefit from this high vacuum, barrier-breaking design. For more information visit this link, or call BCE at (510) 274-1990. All cartridge heaters are not created equal. Some are designed to provide reasonable performance at a reasonable cost. Some cartridge heaters are designed for high performance and long life, but come at higher cost. Neither design is superior or inferior when applied properly. Both designs have their place in the world. First, it's important to understand a very basic concept when applying electric heating elements. All electric heating elements need to move the heat away from the resistance wire into the surrounding media. This is done through conduction, convection, and radiation. Preventing resistance wires from getting too hot is the goal. The difference comes down to internal design. Low watt density cartridge heater. From the outside, all cartridge heaters may look the same, but internally they're worlds apart. 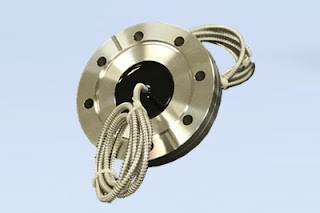 Lower watt density (lower cost) heaters use a helically wound resistance wire threaded through holes a ceramic bobbin. The nichrome resistance wire and bobbin are then inserted in a metal tube with loose magnesium oxide (MgO) back-filled around the bobbin. The result is a cartridge heater designed for lower operating temperatures and lower watt densities. These limitations are caused the insulating affect of the air surrounding the magnesium oxide grains and placement of the helically wound wire. Loose magnesium oxide provides poor thermal conduction and therefore prevents the resistance wire from conducting it's heat outward. The inability for the wire to shed heat is further complicated by the placement, in relationship to the sheath, of the resistance wire. High watt density cartridge heater. High watt density cartridge heaters, capable of higher operating temperatures and long life include a different internal design, incorporating a swaging process and great care to resistance wire placement. High watt density heaters have very precisely wound nichrome resistance wire around the ceramic bobbin, and then, with exact centering and very tight tolerances, vibrate MgO into the metal tube surrounding the bobbin/wire core. Once the MgO is added, the heater goes through a swaging process that reduces the inner diameter of the metal tube. 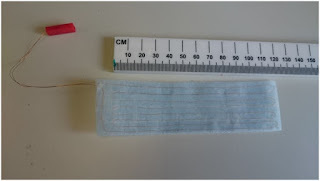 The result is compacted magnesium oxide with rock-like properties and much better thermal conduction from resistance wire to external heater sheath. Both styles of cartridge heaters have their value and proper application. Using low watt density cartridge heaters on a simple applications like glue pots is fine, and will yield good life and performance. On the other hand, high temperature applications such as plastic injection mold machines require the higher performance and extended life that only a swaged heater will provide. Contact BCE for more information on electric heating elements. Visit https://www.belilove.com or call (510) 274-1990. Aluminum nitride (AlN), a new generation of ceramic material, exhibits excellent performance for temperature, corrosion resistance, stability, high strength, and hardness. With the introduction of this new material to world of electric resistance heating element technology, AlN ceramic heaters are creating a good deal of excitement for equipment designers. 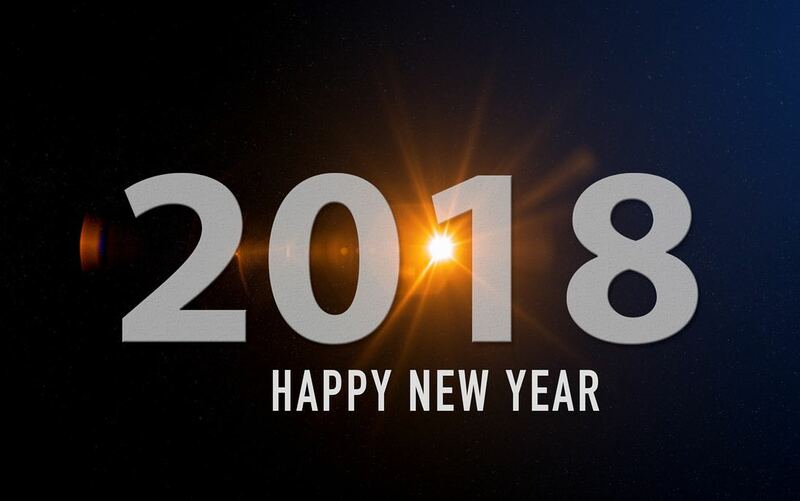 AIN is opening new opportunities in power densities, space savings, and material compatibility. Because they are capable of achieving up to 2000 watts per square inch, and operating temperatures of up to 1000 deg. C, AIN heaters show great promise for semiconductor processing applications such as crucible heating, fluid and gas handling and chemical vapor deposition. Able to operate in atmospheric and vacuum environments with excellent thermal efficiency, AIN heaters can also be designed with a multi-layer construction. AIN heaters are ideal for applications that require very high watt density, and are an attractive alternative to traditional metal sheathed heaters that have limitations in thermal performance, material compatibility, fatigue, outgassing and thermal lag. AIN heaters are also resistant to most chemicals, acids and alkaline solutions. These compact, robust heaters are an ideal solution for demanding thermal applications. Ceramic heaters can be custom designed to optimize thermal performance for the applications and RTD sensors can be deposited right on the ceramic heater itself for optimum control. The most promising opportunities for AIN heaters exist in analytical instruments, semiconductor and medical equipment where high power densities, fast response, low mass, and corrosion resistance are often needed. For more information on aluminum nitride heaters, or any custom thermal solution, contact BCE at https://www.belilove.com or call (510) 274-1990. Applying and specifying electric heating elements can be complicated. Make the job easier by downloading our handy reference guide (courtesy of Backer Hotwatt). 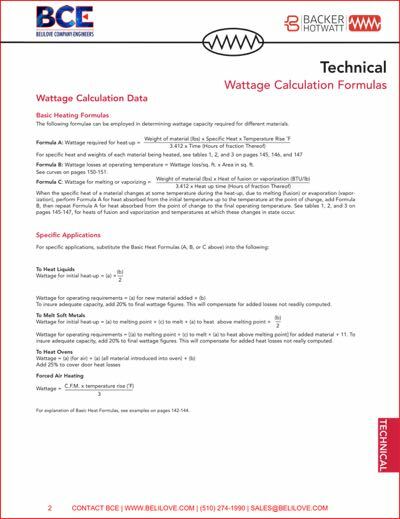 The reference guide includes many of the electrical, mechanical, and physical properties you'll need to know when calculating wattage, evaluating maximum watt densities, and selecting proper heater placement. 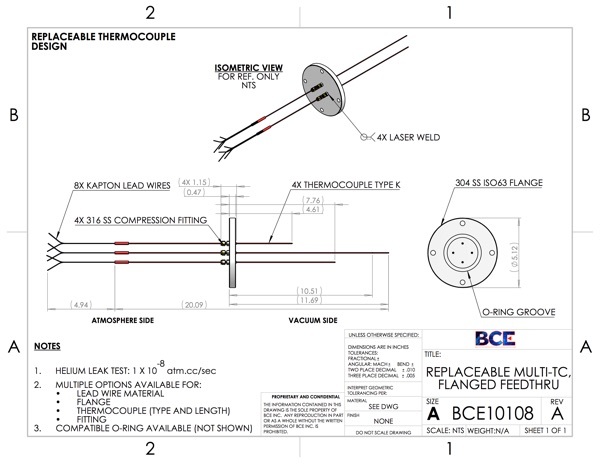 Contact BCE for any electric heating element or thermal system requirement. Visit them at https://www.belilove.com or call (510) 274-1990. Introducing the latest in temperature sensing and heating technology. BCE’s High-Temp Vacuum thermowell assembly is a robust, laser-welded design integrating the sensing capabilities of type K thermocouples. 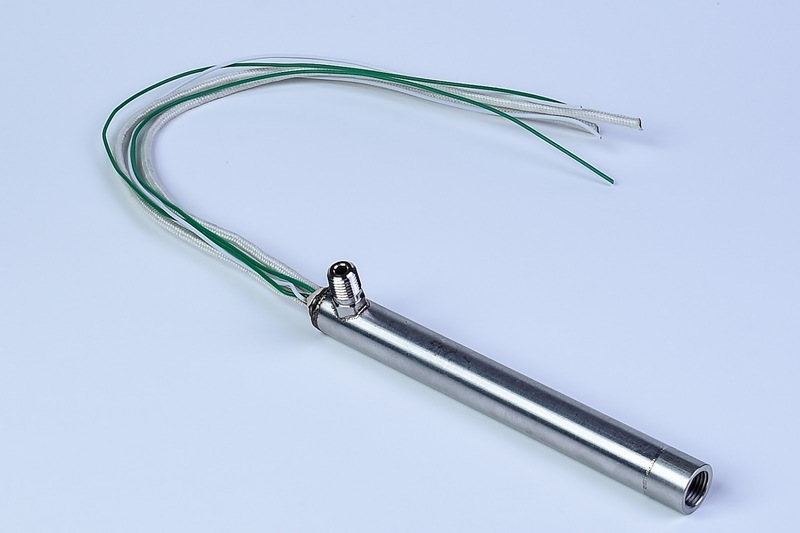 These thermocouples can be easily mounted to any part in a vacuum chamber by the means of shims with mounting holes. Furthermore, they can be positioned with ease due to integrated compression fittings, which also allow for easy replacement of the thermocouples should the need arise. 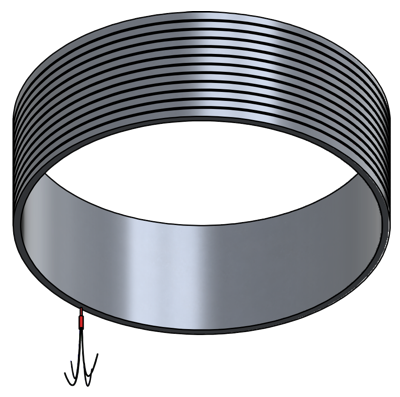 A 304 Stainless Steel flange achieves a vacuum tight seal into any vacuum or degassing chamber port and there is virtually no outgassing, enhancing performance in high-vacuum environments. Moreover, a cartridge heater embedded inside an Aluminum 6061 thermowell allows for uniform and efficient heating of the chamber. 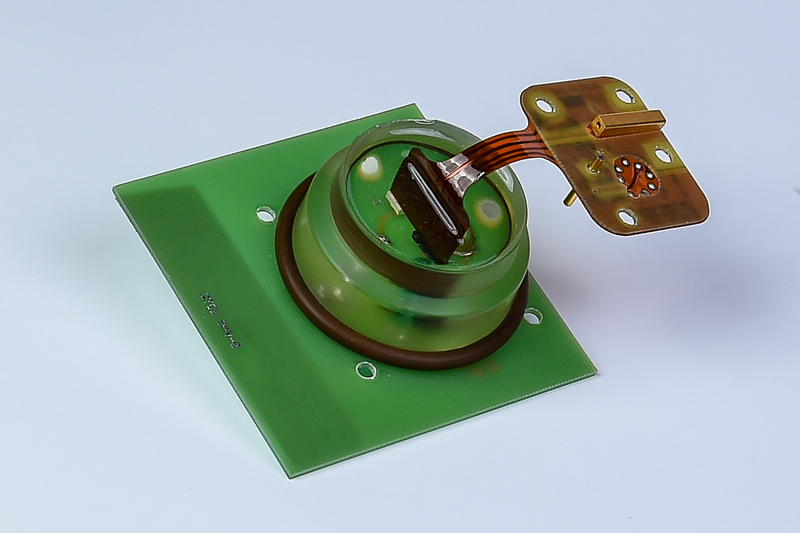 BCE’s Hi-Temp Vacuum Thermowell Assembly: breaking barriers in high vacuum applications. BCE’s plug feedthrough is an ideal product for any vacuum application. Not only is it easy to install and withdraw due to its stainless steel, threaded plug body, it can be embedded with leads, thermocouples and RTDs. Thus, it can be designed and customized to meet all requirements at a low production cost. As it is sealed with BCE’s proprietary epoxy meeting NASA ASTM E595, outgassing is excessively low. Furthermore, all leads come with standard KAPTON insulation to limit contamination in vacuum applications. It should be noted that the 316 SS construction allows it greater resistance to corrosion increasing product life. This means fewer replacements. CAD modeling and engineering design consultation. BCE proprietary epoxy meets NASA ASTM E595 low outgassing spec. 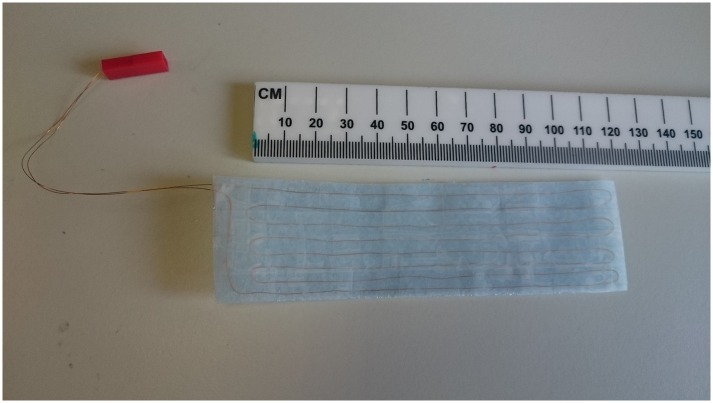 Embedded thermocouple(s), lead wire(s) and rtd(s) with kapton insulation (multiple options available). Height of part was not to exceed 1 ft.
BCE’s Vacuum Ring Heater proved to be the ideal product for this application. Its strong aluminum ring construction ensured effective heat transfer to the circular wafers while keeping manufacturing costs low. Furthermore, its strategically embedded heater with stainless steel sheath allowed the device’s temperature uniformity to remain at ±2% at 150°C, greatly exceeding customer requirements. Moreover, BCE’s proprietary epoxy meeting NASA’s low outgassing spec was used as the primary sealant and KAPTON insulated leads were provided for the heater and integrated thermocouple to reduce contamination. 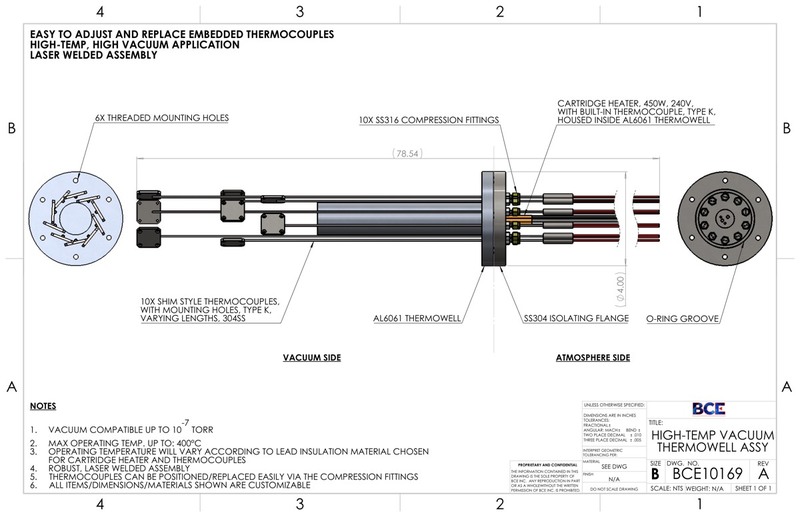 In fact, the integrated thermocouple type K further served to monitor the temperature supplied to the chamber. Finally, all electrical, vacuum and dimensional requirements were met to provide the most optimal thermal environment. Visit this link for more information on the Vacuum Ring Heater, or call (510) 274-1990. BTU requirement and temperature control are critical in the fabrication of silicon wafers in the semiconductor industry. Seldom can a product provide both a thermally effective means to heat wafers and simultaneously monitor their respective temperature. BCE’s Vacuum Thermowell and Heater Assembly achieves both of these criteria. Its aluminum thermowell houses a cartridge heater capable of supplying uniform heat, which can be monitored through an embedded thermocouple. Furthermore, a flange at the end of the thermowell allows for easy installation into any vacuum port and provides an effective seal via its dovetail O-ring groove. An aluminum construction further ensures that the entire assembly remains lightweight and inexpensive to machine, reducing overall product cost. Moreover, multiple RTDs are hermetically sealed into the thermowell to allow for precise temperature monitoring of wafers and other components while maintaining vacuum integrity. They can be positioned and designed for any application, as can the thermowell. In order to prevent any outgassing and minimize release of contaminants into the chamber, the RTDs are sealed using BCE’s proprietary epoxy meeting NASA’s low outgassing spec and are available with Kapton leads. 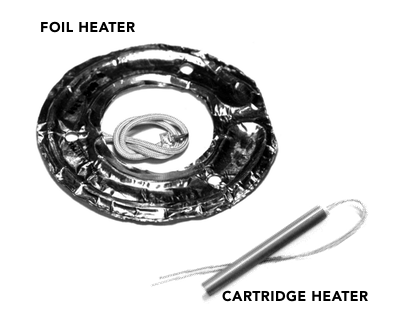 Check out the BCE Vacuum Thermowell & Heater Assembly web page for more detail. In advanced technologies such as analytical, biomedical, pharmaceutical, aerospace, electronics and laboratory applications, special purpose electric heating elements are required for heating high purity fluids and gases. These applications require rugged design, fast heat-up, tight control, high temperatures and the ability to withstand exposure to harsh solvents and corrosive gases. They also must be constructed in a way to prevent contamination of the process media. The use of standard screw plug immersions heaters, screwed into a stainless steel welded vessels (known as circulation heaters) are almost always a misapplication for these unique requirements. Circulation heaters create more problems due to leaks, material compatibility, poor controllability, and bulky size. BCE, a northern Californian manufacturer of custom heating elements offers it's Mini Clean Flow Heater specifically for these applications. These heaters are designed for heating "clean" liquids and gases normally found in fuel cell, bio-med, laboratory, food, semiconductor and pharmaceutical applications. The heating elements in the Mini Clean Flow Heater are isolated electrically from the process media, protecting them from contaminants and providing long life. Custom wattages, voltages, inlet and outlet fittings (NPT, SAE, BSP &VCR) are available. You don't have to fit a square peg in a round hole anymore. Choose BCE custom feedthroughs for your next design. Kapton (Polyimide) Etched Foil Heating Element. According to Wikipedia, "Polyimides have been in mass production since 1955. With their high heat-resistance, polyimides enjoy diverse applications in roles demanding rugged organic materials, e.g. high temperature fuel cells, displays, and various military roles. A classic polyimide is Kapton ..."
Kapton etched foil heating assemblies are constructed from a very thin etched foil circuit embedded between two layers of Kapton, or one layer of Kapton and some other material (such as alumina.) The result is a heater with features perfect for a wide variety of industries - from aerospace, to medical and scientific equipment, to research & development applications. Kapton heaters provide excellent heat transfer to adjoining surfaces with the release of minimal contaminants through the use of this very low mass, low outgassing, high dielectric material. They provide very even heat distribution extremely fast heat-up and cool-down rates. Additionally, they can be constructed in just about any shape, size, wattage or voltage. They are also ideal for applications where distributed wattage (heating profile) is required. 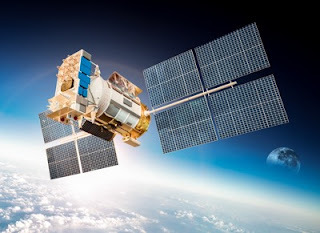 Furthermore, when the heater and ceramic insulator is bound in such a way to meet NASA’s low outgassing specification, Kapton heater assemblies are ideal for use in vacuum applications. For more information, visit http://heater.belilove.com. Also, take a fast look at the video below. Some of the most stringent tolerances and vacuum requirements exist in the ever-expanding semiconductor industry. Tight restrictions in vacuum ports, high temperature applications and exposure to high stress environments further add to the challenge of designing an electrical feedthrough that can be manufactured quickly and installed with ease. An American multinational manufacturer of chips and microprocessors approached BCE with these exact requirements in order to replace their existing vacuum feedthroughs incapable of providing an adequate performance in ultra-high vacuum environments. Furthermore, their existing supplier had long lead times and the procured feedthroughs needed to be replaced often as their contacts would fail due to oxidation formation on the conductive layer. All customer requirements were exceeded by BCE’s 9 pin vacuum feedthrough. Not only did it meet all electrical and configuration specifications, it provided a vacuum compatibility twice as much as that required by the customer allowing them to expand their capabilities to higher vacuum thresholds. It also remained operable at higher temperatures, nearing maximums of 300°C. Furthermore, the gold plated pins proved to be ideal in the prevention of oxidative layers inhibiting current flow. Moreover, BCE’s proprietary ceramic seal achieved the desired robustness and allowed the feedthrough to remain operable under high stress conditions. Finally, the client was equally impressed by BCE’s quick-turnaround time and competitive pricing. Download the PDF for this application note from the Belilove site here. With most vacuum feedthroughs, troubleshooting can be difficult as well when multiple fixed elements are involved. If one element fails, generally the entire vacuum feedthrough is rendered useless. With BCE’s Multi-TC, Flanged Feedthrough, arduous troubleshooting procedures are a thing of the past. In fact, this feedthrough’s thermocouples are replaceable as they can be extracted from the compression fittings with great ease. This means that if thermocouples fail, they can be removed, tested and replaced within minutes. Thus, this no-hassle design allows for faster, more accurate and more cost-effective thermal data collection. 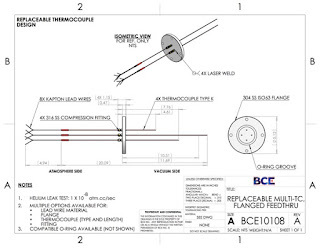 Trust BCE’s Multi-TC, Flanged Feedthrough for your most complicated thermal detection needs. Contact BCE for more information. For more information, visit http://www.belilove.com/feedthrough. BCE proposed its Optic Cable feedthrough as the ultimate solution to this design conundrum. The flexible stainless steel conduit of the fiber optic cable along with its connectors coupled easily with the spectrometer and company devices. The CF flange of the feedthrough mounted effortlessly into the vacuum chamber wall and BCE’s proprietary epoxy seal meeting NASA ASTM E595 allowed for less than 0.1% of volatiles to emanate into the environment and with less than 1% of mass loss. 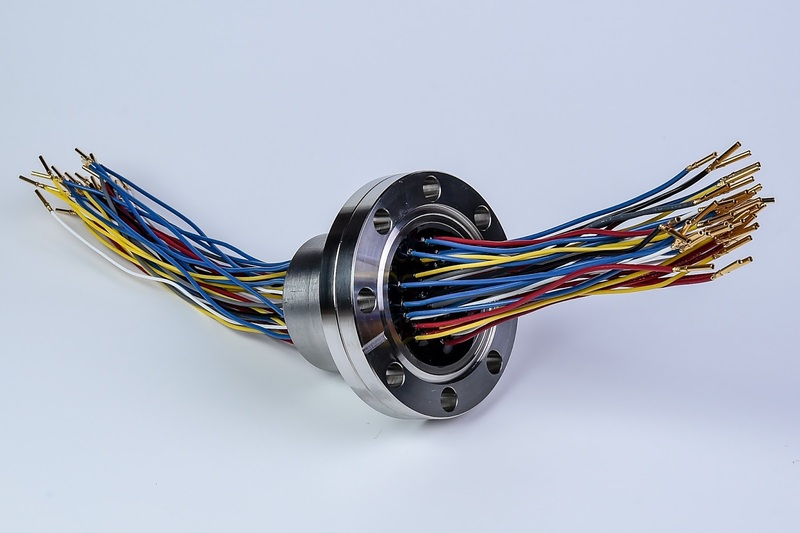 Further testing of BCE’s optic cable feedthrough at the client facility revealed that it remained operable at varied, high pressures while ensuring an ultra-high vacuum seal. 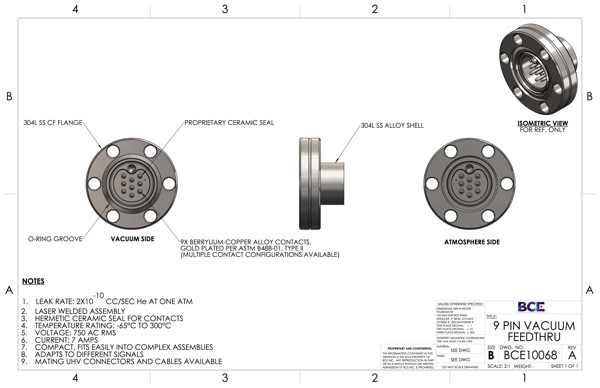 For more information about the BCE Optic Cable Feedthru including detailed drawings, visiy this link. Picture this: a heater that can sustain elevated motion, high temperatures and pressures, and be compact enough to fit into a restricted assembly. BCE was approached by a worldwide provider of 4D cinematic experiences to help design a custom heating apparatus. This novel thermal assembly would be capable of creating a desired heat effect enhancing the viewing of attraction films around the globe. BCE’s MCF heater provided the optimal solution to this design challenge. During pre-heat with no air flow, the internal temperature of the MCF reached 320°C. After an 80 psi air burst and temperature drop, the low mass of the heater was able to achieve an internal temperature of 505°C in just under 90 s during the heat effect. This greatly surpassed customer expectations. Not only was its compactness an asset in maintaining the dimensional restrictions, its unique design with NPT fitting assembled easily to other components. Moreover, the built-in thermocouple type K offered precise temperature monitoring for this sensitive application. Finally, its robust design allowed for continuous operation under the most strenuous pressures and motion. Download a PDF of the Mini Clean Flow (MCF) Heater here. From the Office of The Chief Engineer at NASA - NASA's Preferred Practices. Courtesy of BCE (Belilove Company-Engineers). 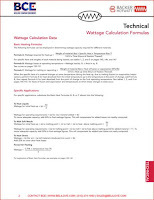 Download the full Vacuum Seals Design Criteria document here. BCE (Belilove Company-Engineers) has over 60 years experience as a California based manufacturer, value added component integrator, and distributor serving the analytical instrumentation, semiconductor, photovoltaic, medical equipment, plastics processing, foodservice equipment, packaging, and aerospace industries. BCE offers custom electrical heaters, sensors, controls and custom vacuum feedthroughs for sale. Supported by their wealth of knowledge and experience, BCE will assist you with your electric heating, vacuum feedthrough, and ceramic substrate needs. A handbook titled "Vacuum Technology and Vacuum Design Handbook for Accelerator Technicians" published in 2011 and downloaded from the Lawrence Berkeley National Laboratory website, is a compilation of information gathered from over 50 years of direct hands-on experience to applicable information widely available from the vacuum technology industry. It seeks to address common and specific vacuum technology problems while clarifying the design standards and philosophies adopted for use in the ANSTO accelerator facilities. The link to the Vacuum Technology and Vacuum Design Handbook for Accelerator Technicians PDF can be found here. Advanced electric heating elements and thermal systems designed and manufactured for application-specific requirements in the harsh operating environment of outer space. Experience, precision, and reliability. BCE. Nine pin circular feedthroughs (often called instrumentation feedthroughs) are commonly used for the transmission of low power electrical signals. They are designed for applications where typical Subminiature Type-D connections will not fit, or where there is little space. 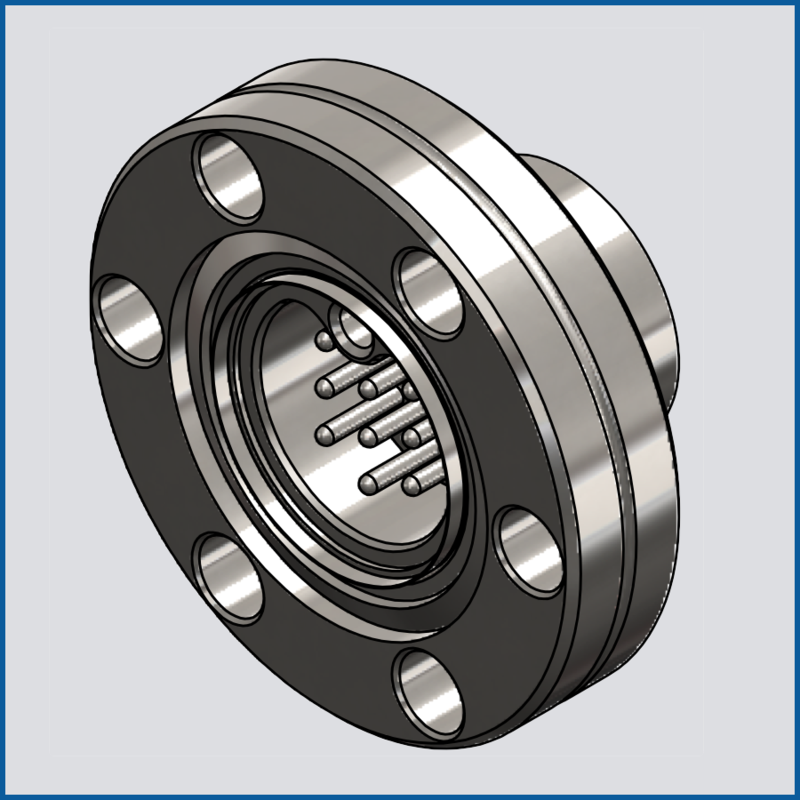 The circular geometry allows the installation of this feedthrough into very small vacuum flanges. They are often used in instrumentation applications such as semiconductor processing, electron microscopy, and a variety of analyzers. Nine Berrylium-Copper alloy contacts, Gold plated per ASTM B488-01, are sealed and electrically insulated in a 304 stainless steel shell using the latest in ceramic bonding technology. Multiple contact configurations are available. The preheating of metal billets prior to hot forging as an opportunity for significant energy savings in the U.S. forging industry. Aluminum billet preheating is traditionally slow, costly, and energy intensive. 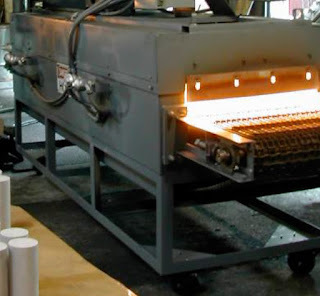 Rapid infrared heating offers a faster, cheaper, and less-energy-intensive alternative to the gas-fired convection ovens that traditionally preheat forgings to above 800°F. 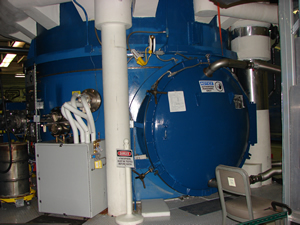 In a Department of Energy sponsored project, a scaled up a laboratory based, batch-type infrared (IR) furnace (see image) to create an optimized, hybrid, continuous IR furnace for industrial forging. Demonstration of this IR furnace reduced preheating times for aluminum forgings from 1-6 hours to 14-18 minutes. The infrared pretreatment was 75% more energy efficient than conventional ovens, and the system proved robust under industrial conditions. The IR furnace demonstrated a downtime of less than 5% over three years of use in preheating billets. For any questions or applications about industrial electric heating visit http://heaters.belilove.com or call (510) 274-1990. BCE designs and manufactures custom engineered heating solutions for analytical instrumentation, semiconductor, photovoltaic (solar), medical equipment, plastics processing, foodservice equipment, packaging, aerospace and many other industries. Visit http://heater.belilove.com or call (510) 274-1990. Your local heating element sales rep is your asset. Many design engineers at original equipment manufacturers (OEMs) may overlook a huge asset when designing a new piece of equipment requiring an electric heater. The local heating element sales representative. 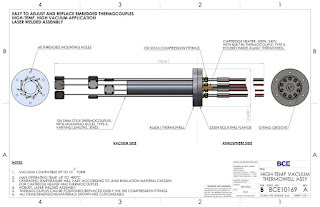 Custom heating element design is best completed and accomplished through the proper application of the right resources. The local heating element sales engineer is an access point to high level technical knowledge and assistance that can be easily tapped and brought to bear on your successful task or project completion. Local heater and control distributors and representatives provide services that will help you save time and money, with a greater chance of achieving a better outcome for the entire project. Product Knowledge: The heating element sales rep will be current on product offerings, proper application, and capabilities. They also have information regarding what products may be obsolete in the near future. 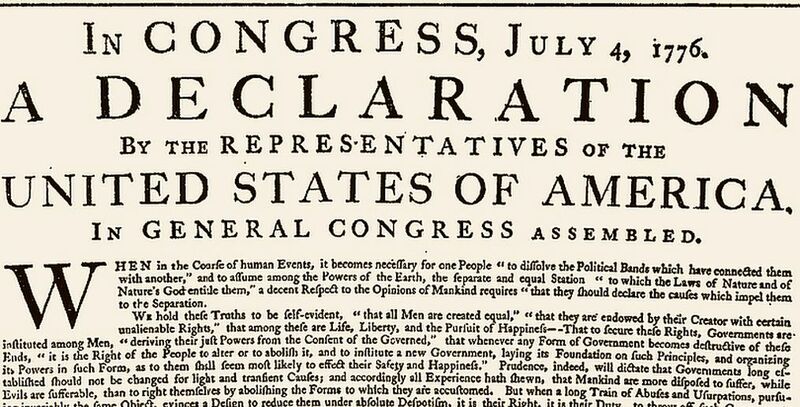 This is an information source at a level not generally accessible to the public via the Internet. Application Experience: As a project engineer, you may be treading on fresh ground regarding some aspects of your current assignment. There can be real benefit in connecting to a source who has decades of designing electrical heating elements. 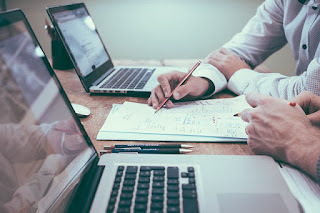 Access: Through a heating element sales rep, you may be able to establish a connection to “behind the scenes” manufacturer contacts who will champion your project internally. The rep knows people, makes it his/her business to know the people that can provide answers, and can act as your projects ambassador with the manufacturer. 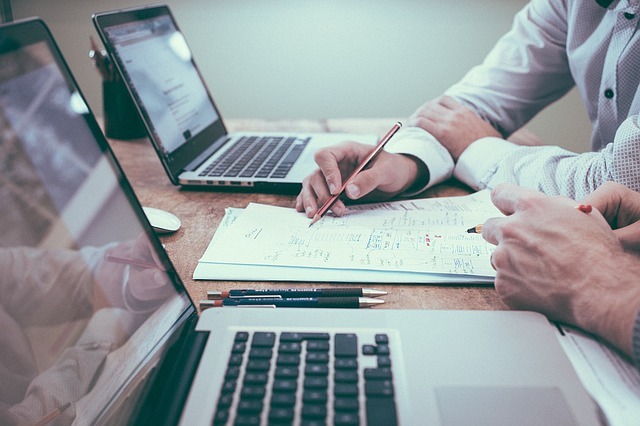 Develop a professional, mutually beneficial relationship with a heating element sales rep. Their success is tied to your success and they are eager to help you. Cartridge heaters provide localized heat to restricted work areas requiring close thermal control. Dies, platens and a variety of other types of processing equipment are efficiently heated. Closely controlled work temperatures up to 1400° F (760° C) are obtained by a combination of heater location and proper wattage output. There are two basic designs of cartridge heaters - swaged and standard. Although both type heaters look identical, the internal construction is very different. 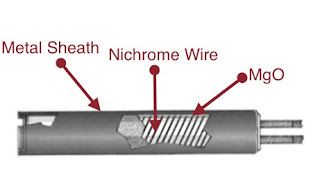 Nichrome wire heating coils are inserted in holes formed in ceramic tubes. Pure magnesium oxide filler is vibrated into the holes housing the heating coils to allow maximum heat transfer to the stainless steel sheath. The heater then has a Heliarc welded end cap inserted on the bottom of the heater and insulated leads are installed. The MGO powder is not compacted and heat transfer is a function of the grain-to-grain thermal conductivity to the heater sheath, and then into the heated part. Because of this, the heater wire watt densities must be kept in the low to medium range. 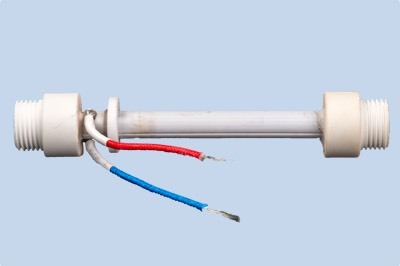 Swaged cartridge heaters wind Nichrome wire around a precision ceramic core and the carefully position the resistance wire and ceramic core uniformly inside the the heater sheath. Pure magnesium oxide (MgO) powder is then vibrated in and the heater is swaged to a specific diameter. Swaging is a process that mechanically forces the heater through a confining die to reduce its diameter and thus compact the powdered MgO to rock-like consistency for greater thermal conductivity. This compressed MGO transfers the heat from the resistance wire much more efficiently. The improved heat transfer allows for higher wire watt densities allowing swaged cartridge heaters to operate at higher temperatures. The most common cause of cartridge heater failure is an improper fit in the hole into which it is inserted. If the heater is surrounded by air, an excellent thermal insulator, it cannot dissipate it's heat into the part with optimum efficiency. The result is much higher temperatures on the Nichrome wire and failure. The goal to longer life with cartridge heaters is to accommodate the tightest fit practical for a given application. In summary, if you want the longest life cartridge heater, choose a swaged heater and make sure you provide a machined, close tolerance fit between the outside diameter of the heater and the inside diameter of the hole. Epoxy Feedthroughs A Better Option Than Glass-to-Metal for Under 200 Deg. C.
Vacuum and ultra-clean manufacturing applications have continuously challenged designers with the need for versatile and cost effective ways to get power, control signals, fiber optic, and pneumatic lines in and out of a vacuum. Failures due to contamination, dust, or leaks can be devastatingly costly, in both money and time. Historically, glass-to-metal (GTM) hermetic seals have been used, but their limited size, shape, pin options, and shielding limitations have frustrated designers. A more accommodating and cost effective feedthrough solution was badly needed. Enter epoxy potted feedthroughs. While GTM has a distinct advantage in very high temperature applications, in low-to-medium temperature applications newer epoxy resins are quickly gaining ground. Ideally suited for use where continuous temperatures stay under 200 deg. C , the versatility and cost of epoxy feedthroughs make them a clearly better choice. Additionally, in many cases epoxy feedthroughs can be prototyped and small quantities can be provided much more quickly. Ultimately, epoxy vacuum feedthrough’s greatest advantage is their design versatility and option flexibility. 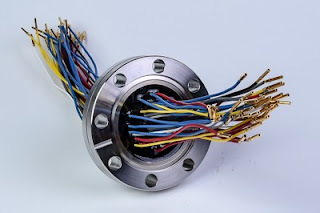 Flanges, threaded connections, circuit board mounts, 120 volt receptacles, thermocouples, pneumatic tubes, Sub D connectors, and fiber optic cables are all examples of options that are easily accommodated. No longer does a designer have to conform their design to a standard glass-to-metal specification. Epoxy vacuum feedthroughs give designers the freedom to have a feedthrough that exactly meets their needs. By understanding the most common reasons cartridge heaters fail, users can take preventative steps in their applications to achieve optimum heater life and lower equipment ownership costs. The most common cause of cartridge heater failure is an improper fit in the hole into which it is inserted. If the heater cannot dissipate the heat being generated and produced by contact with the sheath, the temperature inside the heater will continue to rise until the heater fails. The MGO used in cartridge heaters is hydroscopic. Every time power to electric heaters is eliminated, an internal vacuum occurs which draws in air from the surrounding area. If moisture or impurities (oil, gas, etc.) are present, they can be drawn in to the heater, and cause a short circuit resulting in a heater failure. If the watts/square inch is excessive, the heater will not be able to dissipate the heat and the heater will fail. The wattage of any electric heater varies as the square of the voltage. If a 120 Volt heater is powered on 240 Volts, the wattage will be 4 times greater than that for the same 120 Volt heater. Under normal conditions, this may result in heater failure. Rapid cycling of heaters from very low to very high temperatures shortens their life considerably. 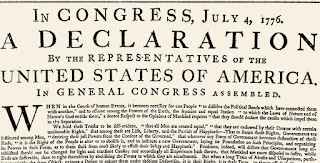 For more information, visit http://heater.belilove.com or call (510) 274-1990. Need a Standard Electrical Outlet with Your Vacuum Feedthrough? Sometimes you just need a fast and easy 120 volt socket available on the other side of the wall. These feedthroughs provide a standard 120V, 15 amp socket for a quick, reusable connection. Custom configurations are easily accommodated. A short introduction to BCE's custom epoxy feedthrough capabilities. Here is a brief introduction to a vacuum feedthrough designed for delivery of liquids and/or gas in to a vacuum chamber. The feedthrough has a maximum operating temperature of 150°C-200°C and includes (2) 316 SS tube socket weld unions and 1/4" OD tubing. A wide variety of optional fittings, tube diameters, and epoxy sealing shapes available. For more information, visit http://www.belilove.com/feedthrough or call (510) 274-1990. 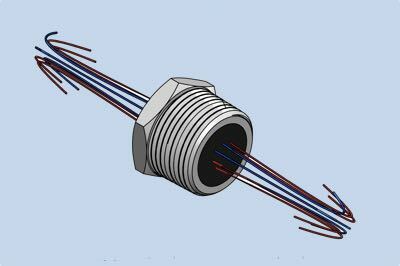 Here is a short video outlining the design of a fiber optic vacuum feedthrough assembly. Epoxy compounds now rival glass and ceramic in performance. BCE is at the forefront of this development and leverages modern epoxy's unique properties to solve your feedthrough challenges. BCE's sixty years of high-tech design experience in semiconductor equipment, medical equipment and R&D yields innovative vacuum feedthrough solutions. There exists a popular idiom which states, "Life does not exist in a vacuum." While the linguistic implications of the popular saying are still up for debate in terms of life in general, in high-tech industries an environment can, indeed, exist in a vacuum. Both creating and subsequently evaluating conditions relating to sub-atmospheric pressure environments has been a longstanding challenge of the science and research. The benchmark for failure is rather absolute due to the fact the conditions of the vacuum can be compromised thanks to the smallest amount of a complicating substance, potentially resulting in substantial monetary or productivity losses. 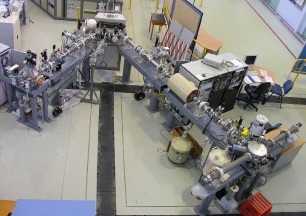 Due to these facts, the monitoring and evaluation of vacuum conditions is paramount to researchers and engineers; the way engineers execute such a balancing act between preserving the environment and tracking the process relies on technologies known as vacuum feedthroughs, which enable the transference of signals to equipment or instrumentation located outside the vacuum environment from inside the vacuum environment. PCB mounted epoxy sealed vacuum feedthrough. Glass or ceramic vacuum feedthroughs, sometimes known as bulkhead connectors, are commonly used to route power and data into isolated environments. 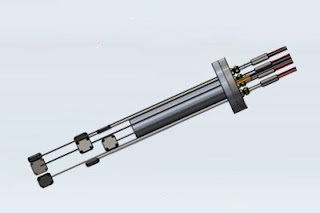 Typically cylindrical, the fitting assemblies allow for connections to be established between the vacuum chamber interior and exterior in a manner that prevents leakage into the chamber. Applications needing quick connections or disconnections on one or both sides of the chamber wall require bulkhead connectors. High quality helps assure complications relating to loss of signal or seal leakage are avoided. With that said, while the bulkheads are able to fulfill the aforementioned requirements of the high-wire act, there are other options available for addressing the same challenge which are potentially more advantageous under different conditions. 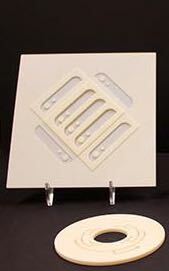 For some applications, epoxy sealed vacuum feedthroughs, a comparatively newer technology, provides numerous practical and technical advantages over their glass or ceramic counterparts. 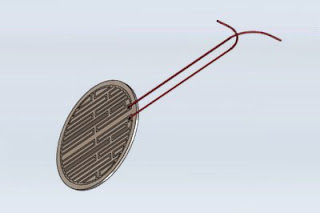 In the case of a feedthrough which is going to remain sealed (such as a vacuum chamber utilized for space simulation) the hermetically sealed epoxy wire feedthrough provides a great range of flexibility in design. Additionally, despite their nature as a customized product, as opposed to a regular bulkhead, the installation cost of an epoxy sealed feedthrough on a permanent installation can be advantageous. Some feedthroughs designed to pass wires from atmospheric environments to high vacuum environments are engineered to function in temperatures from -40F to 200F while paired with the industry standard wires and cables. These devices can be a marquee choice for vacuum-oriented process control thanks to their design variance and durability, even under the most challenging of industrial conditions. Depending on the situation, either bulkheads or epoxy sealed feedthroughs can help engineers and designers combat a longstanding challenge in working with vacuum environments. For more information visit http://www.belilove.com/feedthroughs or call (510) 274-1990.